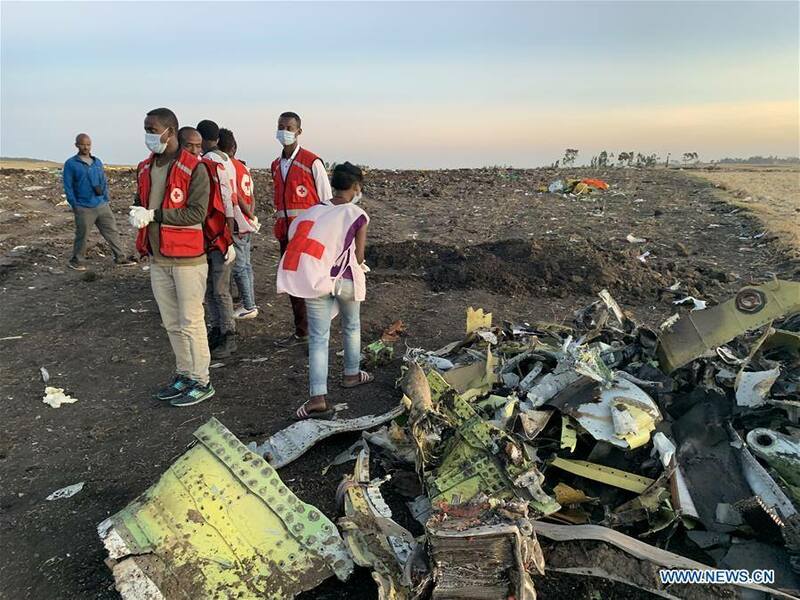 The families of the 157 people who died in the Ethiopian Airline ET 302 crash are still grieving their loss. They are yet to bury their remains as the DNA tests will take place in six months according to the Ethiopian government. 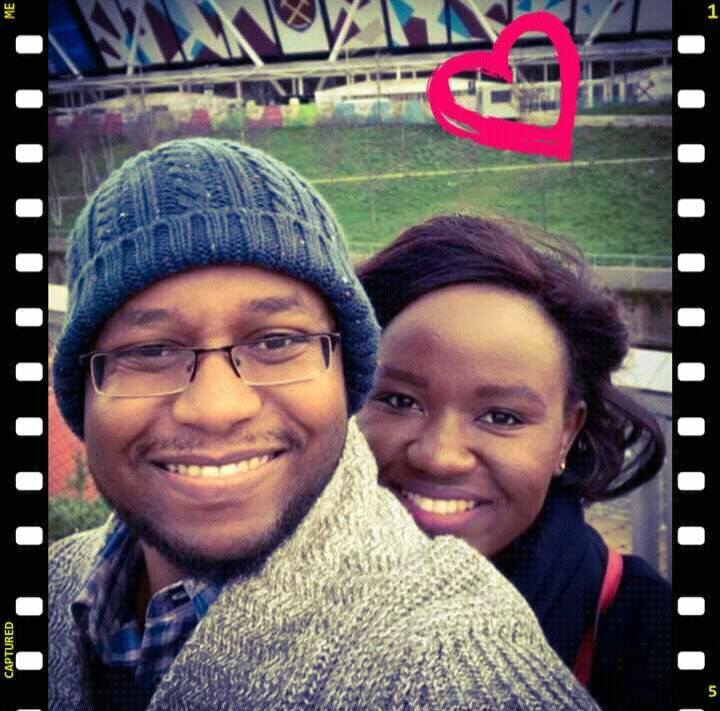 Well, a Kenyan couple were among those who perished in the deadly accident that has been the talk of the continent. 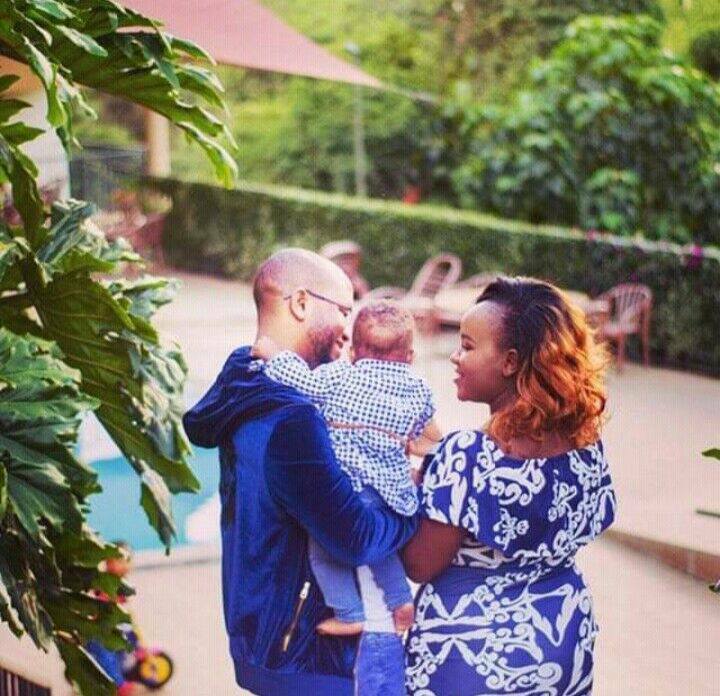 Jared Babu Mwazo and his wife Mercy Ndivo Ngami were on their way back home. The ET 302, which was en route to Nairobi crashed 6 minutes after departure. The flight was scheduled to arrive at Nairobi’s Jomo Kenyatta international airport at around 10:25 am. 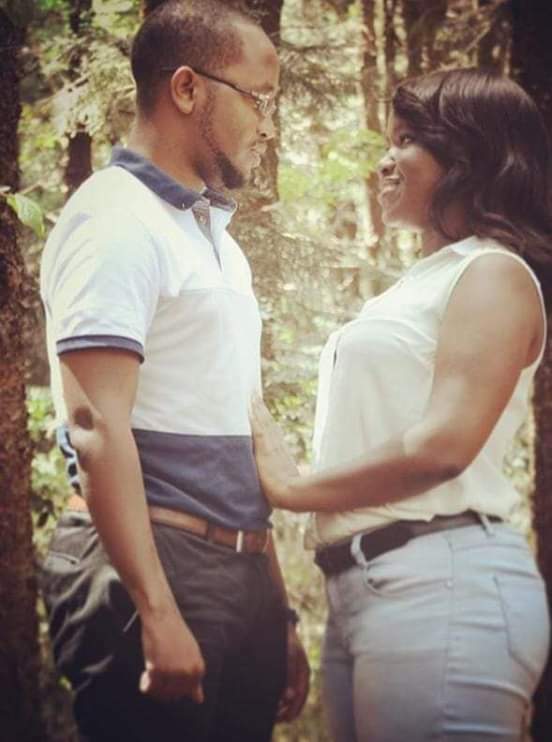 A close relative to the couple (Jared and Mercy) revealed that their family was eagerly waiting for them only to later release that they perished in the Ethiopian Airline crash. They left behind a 15-months old baby. On the same flight, there were five family members who were heading to Nakuru county. 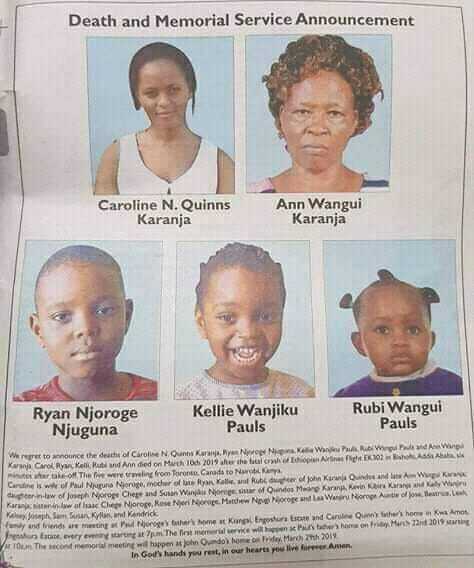 The five; a mother; Caroline Nduta Karanja, her three children, and their grandmother; Wangui Karanja, were returning home when their lives were cut short. The children were Canadian citizens. 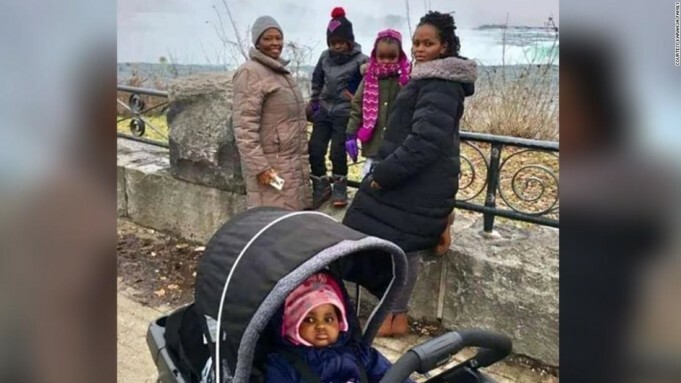 Their mother was working in Canada and their grandmother had visited them and they were coming home for holidays. The six months the government has requested so that it can receive results of the DNA analysis on the 5,000 pieces of human bodies collected from the scene is too long, and so we will just hold a prayer mass and wait for DNA results. Adding that there will be no caskets but instead flowers. 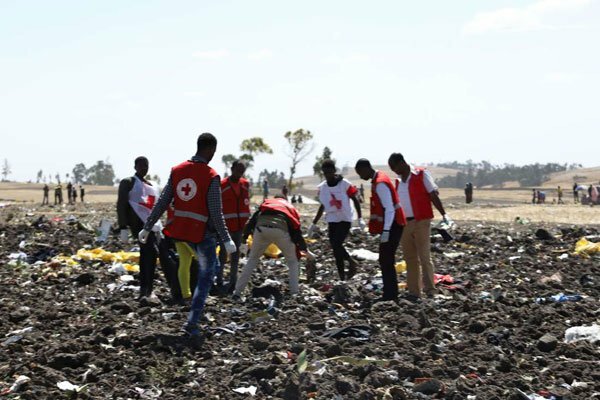 Some family members of the victims who traveled to Bishoftu, Ethiopia collected soil to bury and Njoroge said he would bury soil as the rest.